For the uninitiated, Varying Vagrant Vagrants is a project that builds a virtual machine running Wordpress by using Vagrant. 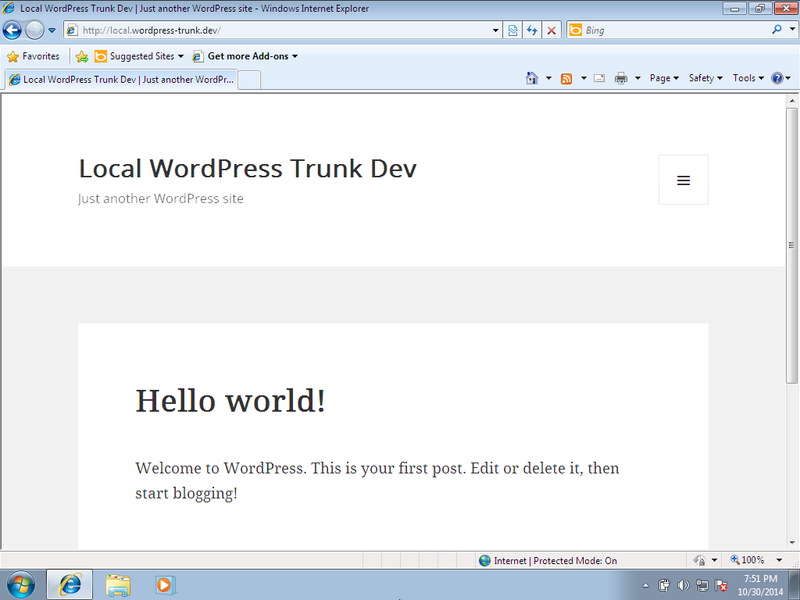 It configures a virtual machine with Nginx and serves up a few different versions of Wordpress. Unrelatedly, Microsoft provides virtual machines for testing various versions of Internet Explorer. I needed to test something in IE8, so vagrant up, fire up the IE virtual machine, apologize to the memory of your laptop and away we go! It turns out the way Nginx is configured doesn’t make it easy to access the server from another machine on the same host. Read on for the rest.